Specialist business property adviser, Christie & Co has completed on the sale of Davidson Mains Dental, a well established practice in Edinburgh, Scotland, which has been sold to a first time buyer, Grant Fraser. Occupying a desirable location in Davidson Mains, a popular residential suburb a few miles north of Edinburgh city centre, the mixed income dental practice comprises three surgeries and presents the new owner with the opportunity to provide a varied selection of private treatments, given his previous experience in the dental sector. 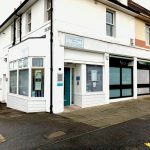 New owner and first time buyer, Mr Fraser has experienced in modern family dental practices, with a specialisation in private and cosmetic treatments. He plans to extend operating hours, opening the practice on a Saturday offering private treatments and appointment only slots, and introduce new treatments in house to save on external referrals. Paul Graham, Director at Christie & Co handled the sale and comments, “We were instructed by the retiring principal owner to find a buyer who would complement the heritage of the practice. The sale was not without its challenges and therefore, it was imperative to remain close to the deal and bring it back on track when required. Davidson Mains Dental was sold off an asking price of £425,000 for the leasehold interest.